To define a series of custom ranges you need to specify the lowest and highest values in the range and an increment. 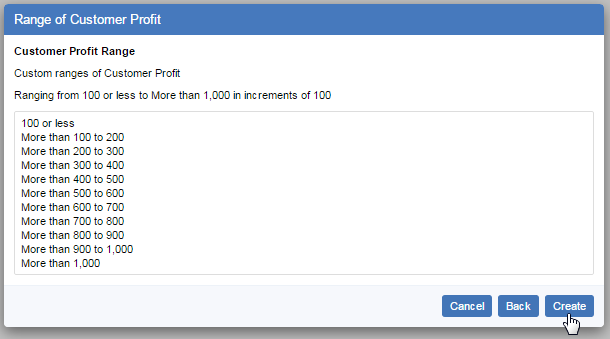 SuperWEB2 will automatically create a series of ranges between the two values, with each individual range the size of the increment. 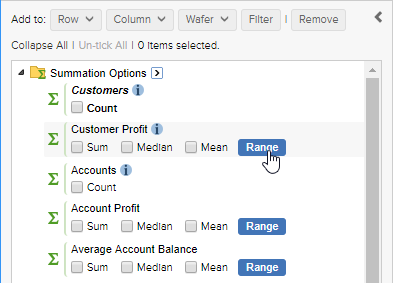 When defining the range, you need to specify what to do with values that are equal to one of the range boundaries: use the drop-down lists to select either < or ≤ for the From or To value. When you have completed all the options, click Next. SuperWEB2 then displays the ranges you are about to create, and you can either click Create to create them, or Back to make changes. 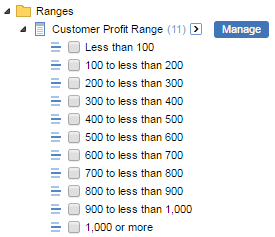 Now that you have created your range, you can add the ranges to a table. You cannot edit the range once you have created it, but if you click Manage you can use the Clone option to create a new range based on the existing one. You can also use the Manage function to delete the range. The system administrator may have set limitations on ranges that set the minimum From value, the maximum To value, and the minimum Increment. If you attempt to create a range that breaches the configured limits then you will see an error message, and you will need to adjust your range accordingly. In the Name field, enter a name for your new series of ranges (up to 25 characters long). 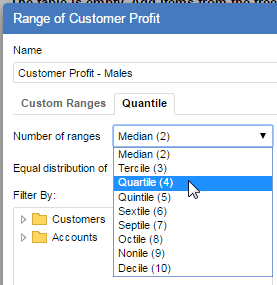 In the Equal Distribution drop-down list, select whether you want to construct the quantile ranges using the summation option or a record count. 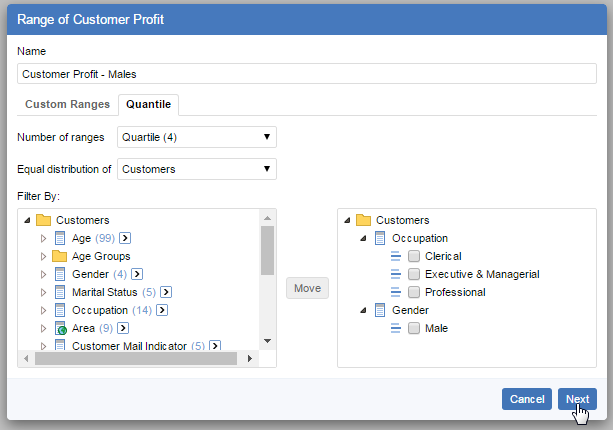 Select some fields from the list on the left. Click Move to add them to the list on the right. Click Next to review the quantile ranges. 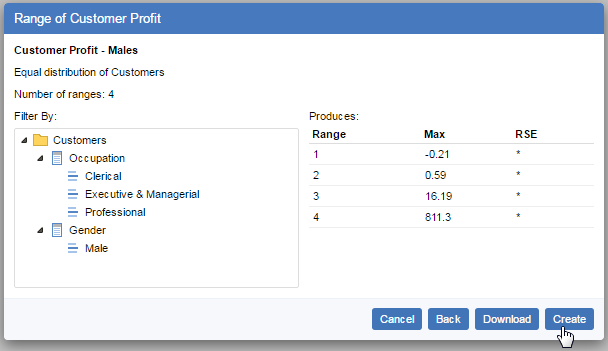 You can then click either Create to create the ranges, or Back to make changes. You can also click Download to save a copy of the quantile definition in CSV format.